It is hard to imagine a modern household without a drill. This practical, multifunctional tool is a true life saver and a necessity for every home-based handyman. Now, due to a great variety of manufacturers and models, deciding which drill to buy might be a problem. 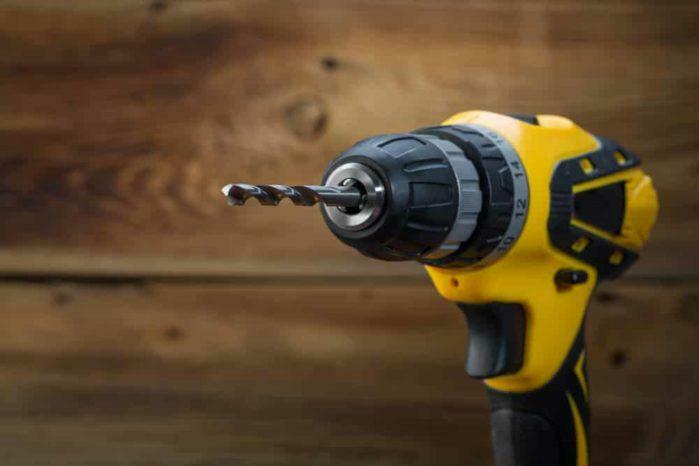 Luckily for you, the focus of this article will be how to find the best corded drill out there. Let's get into it. Why choose corded over cordless? 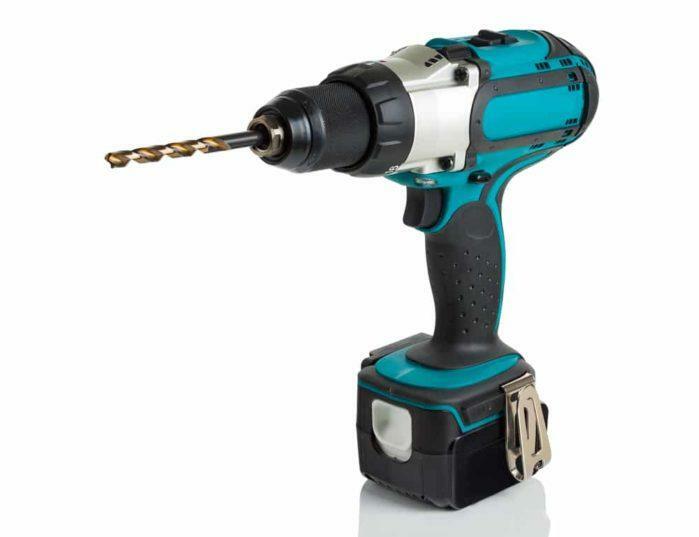 A corded drill is a power tool that connects into an electrical outlet and is used (in conjunction with a drill bit or a driver bit) for boring holes into various materials, as well as fastening materials together. 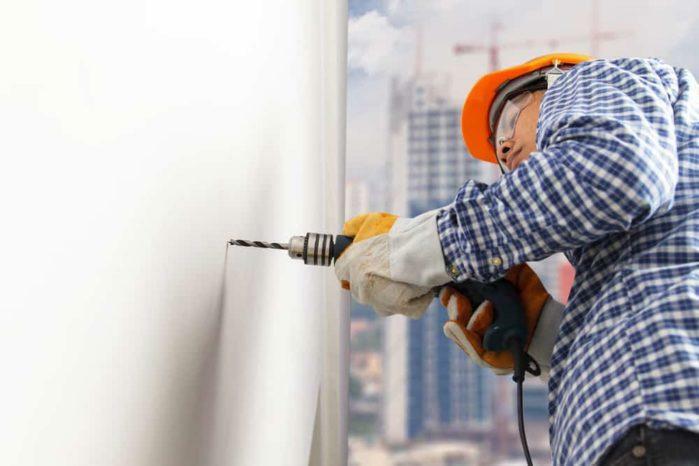 Other attachments can also be connected to the drill thus making it useful for other purposes, for example - mixing paint, removing paint, polishing surfaces, etc. These devices come in different sizes, from heavy-duty, concrete crushing drills, to smaller, lighter, home-friendly versions. Today we will be focusing on both categories, and try to help you find a suitable drill for you by comparing some of the best models on the market. The alternative to corded drills are battery-powered, cordless versions and now we will talk about the differences between the two. This will probably be the first question that pops into one’s mind, and it is a good one. Why would anyone choose a c﻿﻿orded too﻿﻿l if a cordless version is available? Well, the truth is that objectively there is no “better” option, but it all depends on your needs and preferences. Each of the before mentioned types has its advantages as well as disadvantages, and to be fair, we've made a list of pros and cons for both corded and cordless models. By examining this list, you will be able to determine which one would be optimal for you. No need for a power source. Fully portable. Works as long as it is plugged into a power source. Works until it runs out of battery. Powerful as long as the battery lasts. As the battery weakens, the power goes down. The possibility of tripping over the cord. No need to worry about the cord, or to trip over it. Good for polishing with buffers, paint mixing, etc. Good for work in smaller spaces, drilling hard-to-reach places. A better option for A LOT of drilling. Good when you need to drill something once in a while. Depending on the shape and positioning of the handle on the body of the drill, we have four different styles available. Each of these models has the same functions essentially, but the feel and grip differ greatly. This handle-style is probably the most common. The drill is shaped like a pistol, therefore the handle is located below, in the back part of the drill’s body. The motor is right above the handle. This style has a D-shaped handle, with the trigger in the same line as the body of the drill. There is also a handle on the front part of the body, perpendicular to the rest of the drill. This model is similar to the pistol grip, except the handle is located more towards the middle of the motor. This is the part that holds the drill bit, and it comes in various sizes. The size that is most commonly used for home-based works is 3/8”, and it is suitable for almost any job. Good quality, strong chuck is very important because it will prevent the drill bit from slipping, which can be very frustrating and counterproductive. Also, certain chucks need a chuck key for tightening and loosening drill bits, while others don’t (keyless chucks). For tougher materials, chuck with a key is more preferable. 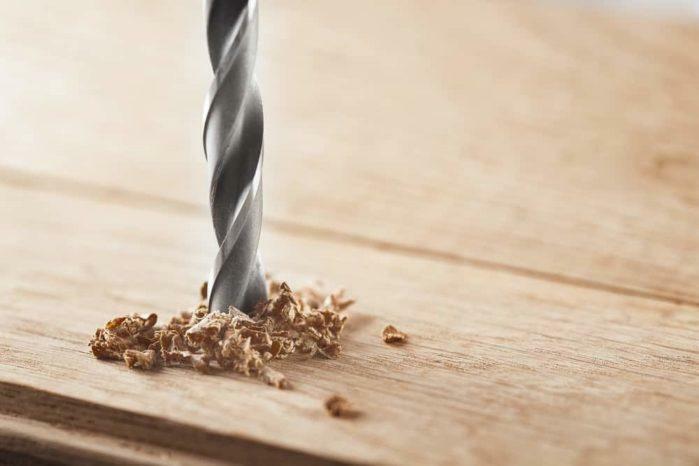 Different jobs/materials require different drill speeds, for example, boring holes in metal will need a higher speed than boring holes in wood. An average homeowner should be satisfied with 700-1000 rpm because this will be appropriate for most works. You definitely want the drill to feel balanced, comfortable and fairly light when holding it in your hand. 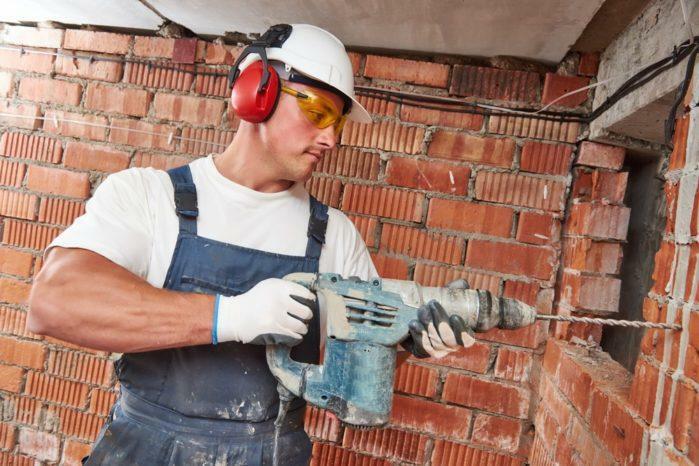 This is important because after drilling for a while, your hands will start to fatigue, and if you have an uncomfortable tool this will start to happen sooner. A side handle is recommendable since it can significantly increase the ease of handling. This function is important if you wish to use the driver bit a lot since it can be used for unscrewing purposes. If you mainly want to use the tool for drilling, then this feature is not a big deal. This product is a 5.2 amp, t-grip handle, corded drill, and driver. It is lightweight, compact and surprisingly powerful for its size. The chuck comes at 3/8 of an inch, and because it is keyless, it enables smooth and easy drill bit/driver bit removal and attaching. The speed settings are variable and go from 0 to 1500 rpm, which is more than enough for any household work that you might encounter. Due to its weight of 3.8 pounds, it is fairly easy to maneuver, compared to certain cordless models where the battery adds some extra poundage. The reverse drilling function is also available, so this model might be a good choice for those who do a lot of driving work.As with all their products, Black and Decker offers a two-year warranty for this drill, and the price is very affordable compared to its competition. DeWalt’s DWD115K might be a good solution for those in need of heavy-duty, repetitive drilling, brushing or grinding of hard materials, all while working with a small tool. The t-grip handle style drill gets this durability from its ball-bearing construction and all-metal chuck (3/8”, keyless). This product packs a lot of power (8 amp to be precise), which is a magnificent score for its physical dimensions. The drilling speed can go up to an astounding 2500 rpm, and this puts it among the faster products in this category. It also has a reversible function, for all those who are interested. It weighs 4.1 pounds, which is a bit heavier than some of the models reviewed here, but it is heavy-duty after all. The entire product arrives in a hard carrying case. The warranty for DWD115K is three years, and there is a one-year free service contract included in the deal as well. The PC600D of Porter-Cable is a light, small, and easy-to-handle corded drill, with a standard pistol grip style. The handle is soft and convenient to use for longer periods of time. At 6 amp, it is quite powerful compared to other drills available on the market. What stands out about this model is the weight of only 3.2 pounds, which makes it one of the lighter corded drills. When it comes to the chuck, it is 3/8 inches and keyless which is pretty standard for this type of product. The speed is very good, and it can be adjusted from 0 to 2500 rpm. 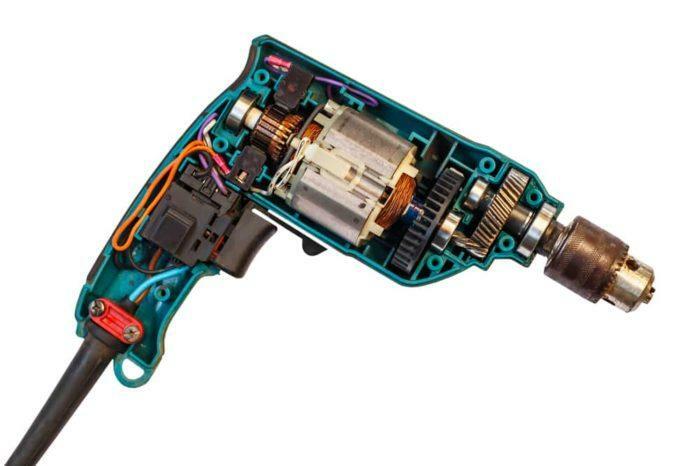 Another thing that might come in handy is the lock-on button, which enables triggerless drilling at any speed. Porter-Cable PC600D comes with a three-year limited warranty, as well as a one-year free service contract and a 90-day money back guarantee. This product is a pistol grip style corded drill that comes with a few different features than other models mentioned in this review. Namely, the first major difference is the chuck which is one-half inch in size, all metal, and it is keyed. Another addition is the ergonomic side handle, coated with rubber which makes this drill easy to maneuver. The weight is a bit heavier for this type of product, about 5.4 pounds, and the speed is considerably lower than some other models (0 to 850 rpm). All in all, this is a tool that might interest people looking for heavy duty work. Milwaukee offers a five-year warranty for this product which is longer than most other manufacturers. Also, if it is unopened, you can return it within 30 days. Another heavy-duty drill in this review is the Makita 6302H. This model has a one 1/2 inch, all-metal keyed chuck which is suitable for many different purposes, mainly those that require more power. A 6.2 amp motor is good for continuous, heavy work, and a single speed 550 rpm, might not sound like much but it is optimal for these types of jobs. The shape of the drill is a pistol grip, and it also has a side handle, which is switchable and adds to the ergonomic quality of this product. Weighing at 4.8 pounds, it is a little heavier than other models, but this doesn't hurt the ease of handling. It also has a reversing switch, which can change the direction of rotation. Unlike other products from our review, Makita 6302H only has a 1-year limited warranty, which is pretty short. We have now come to an end of this round-up of best corded drills on the market today. The competition is fierce, and there is definitely more than one good choice for all those interested in acquiring one of these power﻿ tools. However, due to the nature of this article, we have to declare a winner. The winner is DeWalt﻿﻿ DWD115K. There are a few reasons for this, and the first one is very obvious – it offers the best bang for the buck. It is a heavy-duty tool that is extremely durable and versatile. It can be used for lighter or tougher jobs, and the ease of handling is very good. Also, the speed and power are higher than many other drills of this type, and that is always a positive thing. There is little to no chance that a homeowner will be dissatisfied with a product like DeWalt﻿﻿ DW﻿D115K.